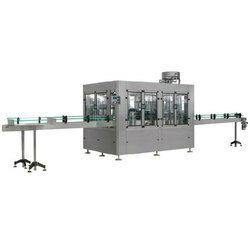 Providing you the best range of automatic water bottle rinsing filling capping machine, automatic bottle rinsing filling and capping machine, automatic rfc machine 60 bpm, automatic bottle rinsing filling capping machine, rinsing filling capping machine and automatic jar rinsing filling capping machine with effective & timely delivery. Filling Range 500 ml - 2 Ltr. We are manufacturing and exporting a wide range of Automatic Water Bottle Rinsing Filling Capping Machine. 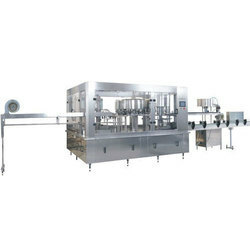 Avail from us, our range of bottle rinsing filling machines and capping machines are highly efficient. Requiring minimum maintenance, these machines are known for their technical. 40 Bottle Per Minute Machine: 8 Head Rinser/ 8 Head Filler/ 4 Head Capper. 60 Bottle Per Minute Machine: 12 Head Rinser/ 12 Head Filler/ 6 Head Capper. 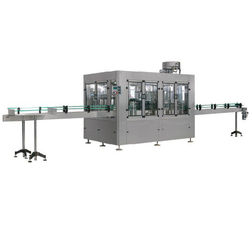 We are manufacturing and exporting a wide range of Automatic Bottle Rinsing Filling Capping Machine. 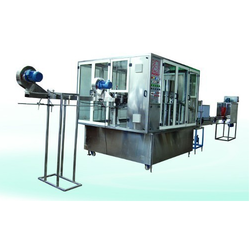 Rinsing Filling Capping Machine is used for water treatment industries. Machine is fully automatic. 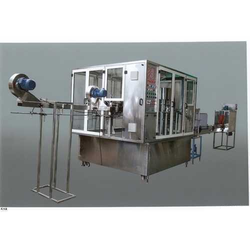 We are offering Automatic Jar Rinsing Filling Capping Machine to our valuable clients. We are offering Barrel Rinsing Filling Capping Machine to our valuable clients. We offer Triobloc Rinsing Filling Capping Machine which is mostly used in drinking water pet bottle industries. Triobloc Rinsing Filling Capping Machine is working on continuous rotary filling system. 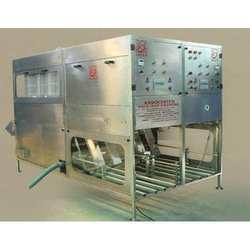 We are offering Jar Rinsing Filling Capping Machine. 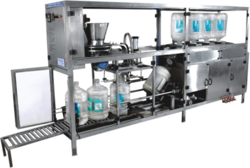 Looking for Rinsing, Filling & Capping Machine ?